Portable tip up petrol mixer for all small to medium building projects. Lightweight and portable, the Minimix 150 mixes a full barrow-load. Used with the stand, it allows barrow-height mixing and tipping. 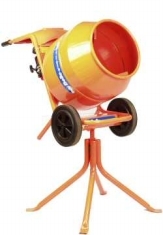 Belle's Minimix 150 tip up mixer is both lightweight and portable, making it easy to transport as well as convenient to use in small to medium-sized building projects. The mixer is designed to handle a full barrow-load. When used with its stand, it can also be used for barrow-height mixing and tipping. The sealed cast gearbox, thermal overload protection, and extra thick drum will help to ensure a longer life. Categories: Concrete & Compaction, Concrete Mixers. 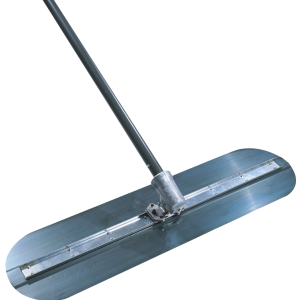 A long handled alloy float for smoothing off wet concrete. 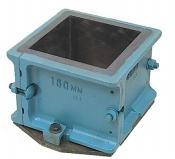 Used for casting concrete test moulds. They are avaiable in 100mm x 100mm or 150mm x 150mm and have a detachable base and sides. 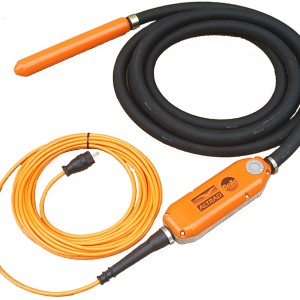 This high frequency electric poker unit drives a high performance concrete poker shaft that is used for settling concrete by releasing trapped air and water.